Late delivery of new class 323 units from Hunslet's saw a variety of older electric multiple units used for a short period on Cross-City services from Lichfield to Redditch. The biggest surprise was the transfer of a tranche of life-expired class 308 units from the Eastern Region. After the delivery of the 323s the 308s saw further service in West Yorkshire. On 30th July 1993 class 308 electric multiple unit No.308154 in Network South East livery at Longbridge on a Cross-city line service. 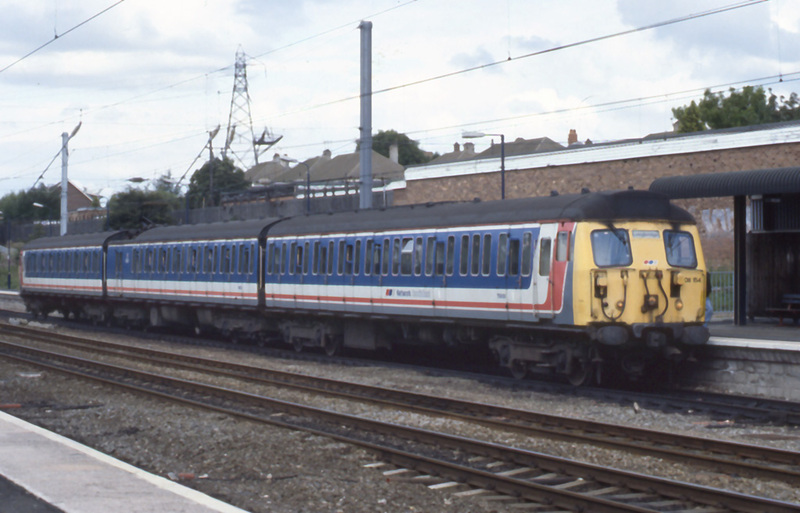 Some of those intended for West Yorkshire were repainted and appeared on 'Cross-City Line' services in 1995. The last class 308 noted by the MIAC in the West Midlands in West Yorkshire PTE 'Metro' livery was No.308134 at Selly Oak on 20th April 1995.